The temperature probe with aluminium sleeve and flat tip is suitable for measurements in liquids and pastes as well as for air temperature measurements. Thanks to its NTC sensor element, the probe provides precise temperature measurements with an accuracy of up to ±0.2 °C. 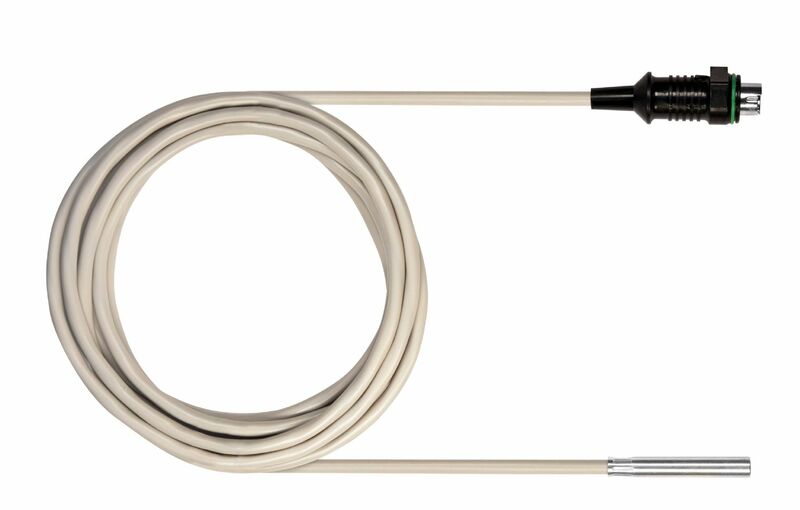 The temperature probe features a 2.4 m cable. For long-term measurements, you can mount the temperature probe permanently at the measuring location. To do this you only need a clamp or PG gland (not included in delivery). The temperature probe is waterproof in accordance with protection class IP 65. Consequently, measurements can be taken outdoors for example. 1 x NTC temperature probe 0628 7503.